McNary had not beaten Forest Grove in the past four seasons and hadn’t even scored on the Vikings in the past two. 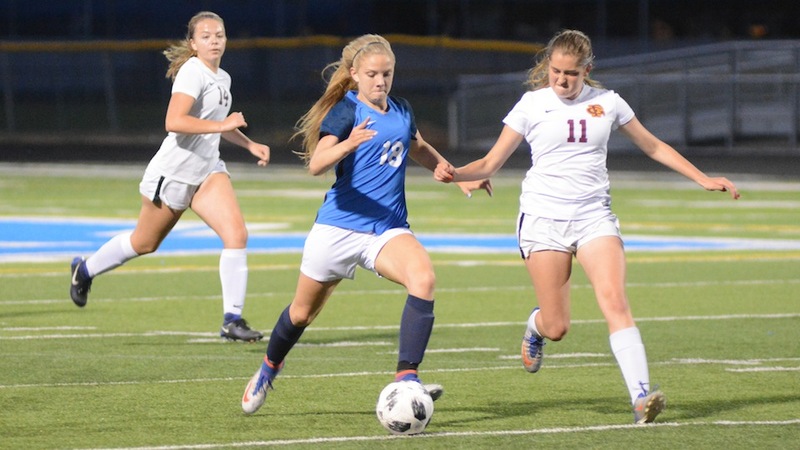 Senior Abbie Hawley put an end to that, putting two balls in the back of the net, as the Lady Celts ran away with a 4-0 victory on Thursday, Aug. 30. “I was just trying to be aggressive and I knew I could push myself and get a little faster and just get past them,” Hawley said of her two goals which came in the 35th and 45th minute. McNary came in confident after getting a 2-1 win against a physical South Medford squad just two days prior. Senior Katy Wyatt assisted on McNary’s first three goals. The first started with a Hawley corner kick, which Julie Dieker finished to give the Lady Celts a quick 1-0 lead. The final goal came from McNary’s second team as Caitlyn Yates gave the Lady Celts a 4-0 lead with 11 minutes left to play. “Our depth is as strong as it’s ever been in my 10 years here, which means when we put seven starters on the bench and put seven people off the bench in the game like we did, we didn’t drop in play or intensity,” McNary head coach A.J. Nash said. With games still to come against Sheldon (Sept. 11), Lake Oswego (Sept. 13) and Lincoln (Sept. 18), the Lady Celts are in the midst of playing their toughest schedule in years, maybe ever. “We’re trying to keep our expectations just on that next game and not get too far in front of us because we don’t have any easy games,” Nash said. The girls are looking forward to playing some of the best teams in the state. “The team is really embracing that and we’re encouraging each other to do the best we can do,” Hawley said.